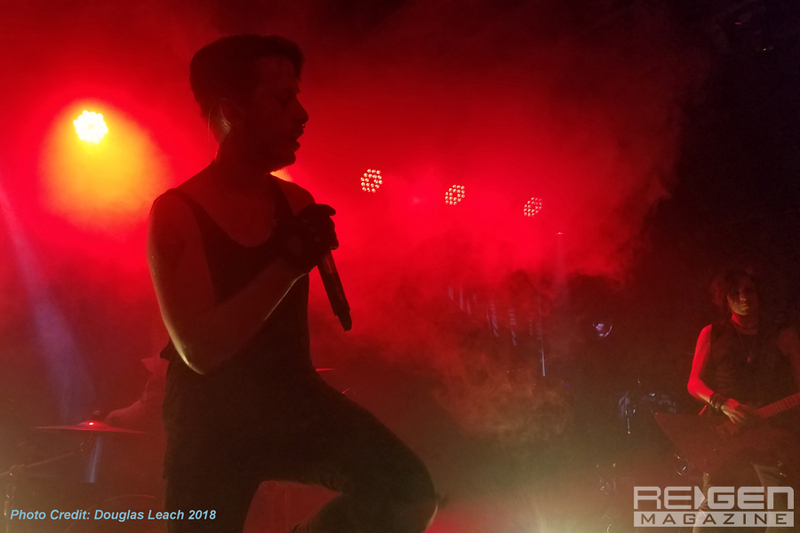 ReGen returned to the Riot Room to catch Grendel’s Severed Nations Tour, along with Evil Kunst, Peter Turns Pirate, and Ghostfeeder. 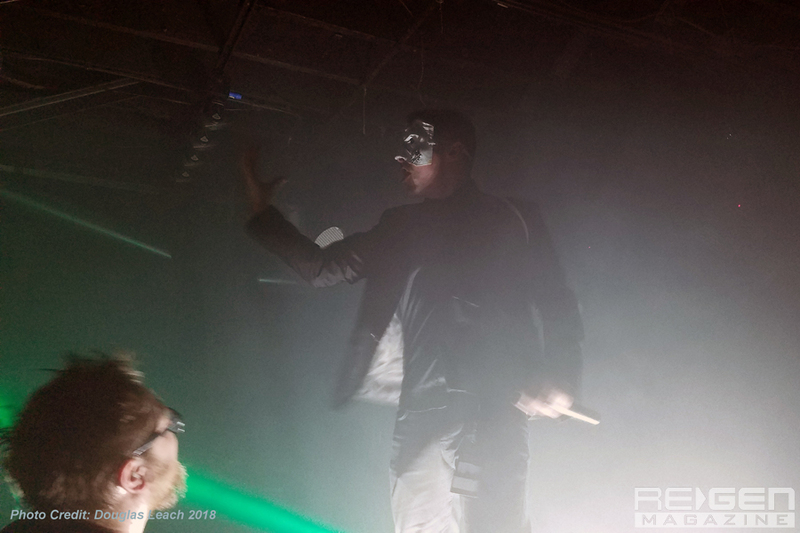 The show started a little late as it had been underestimated the amount of time it would take to drive from Denver, CO to Kansas City, MO; anyone who has made that drive can sympathize as it is probably one of the most boring drives in the United States. 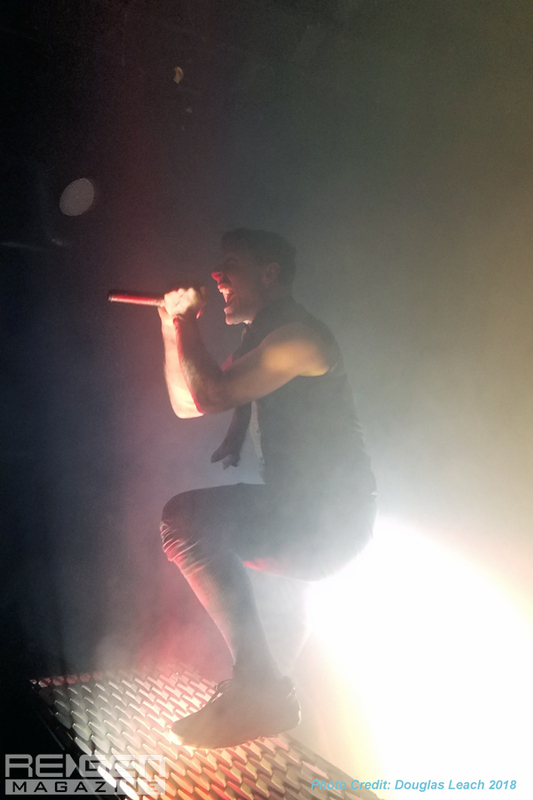 A fun fact this writer learned is that the state of Kansas is about five times bigger than Grendel’s home country of The Netherlands. 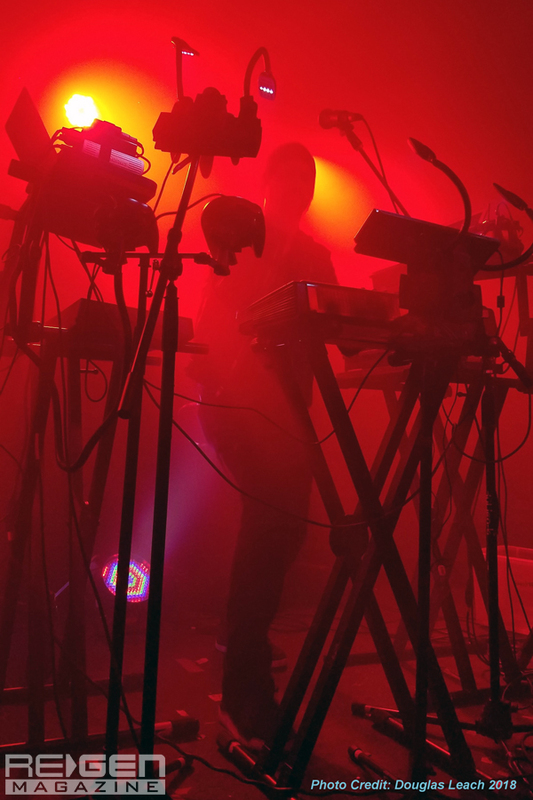 After all of the touring bands were set up onstage, Evil Kunst took to the floor in front due to lack of space. 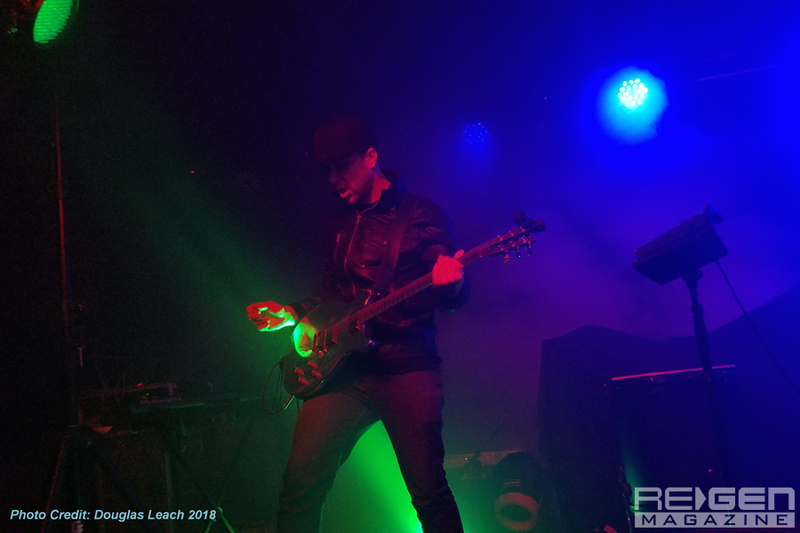 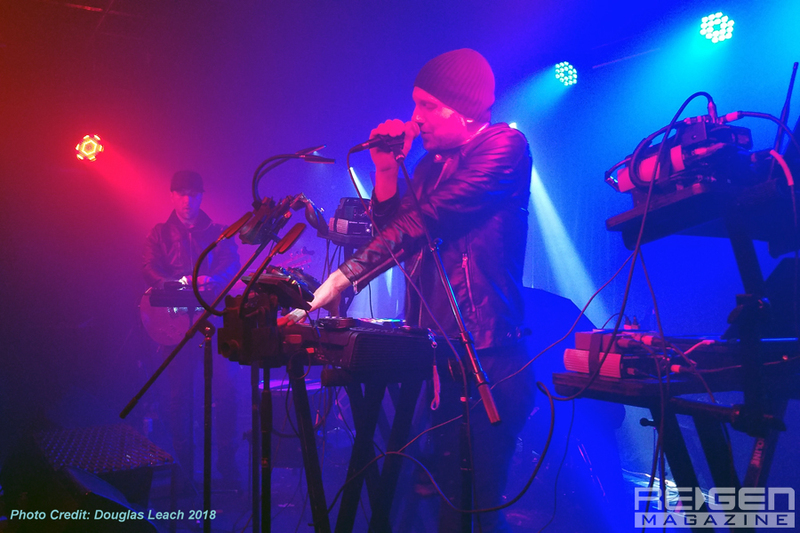 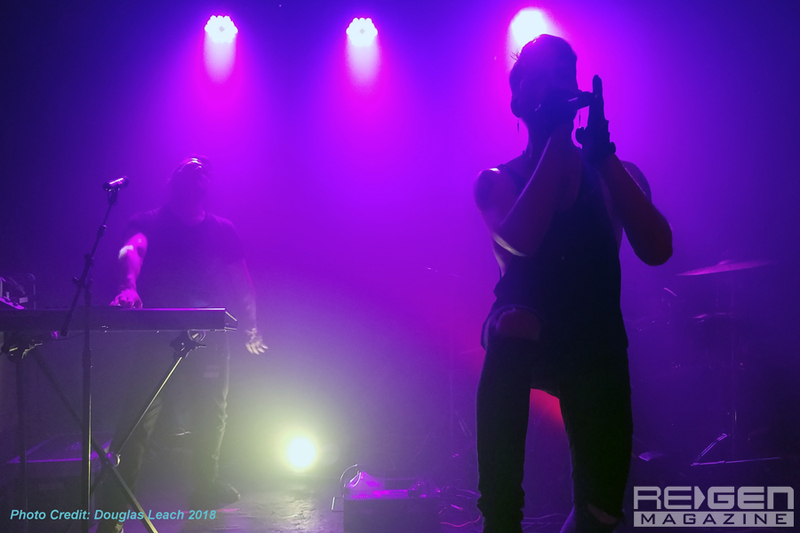 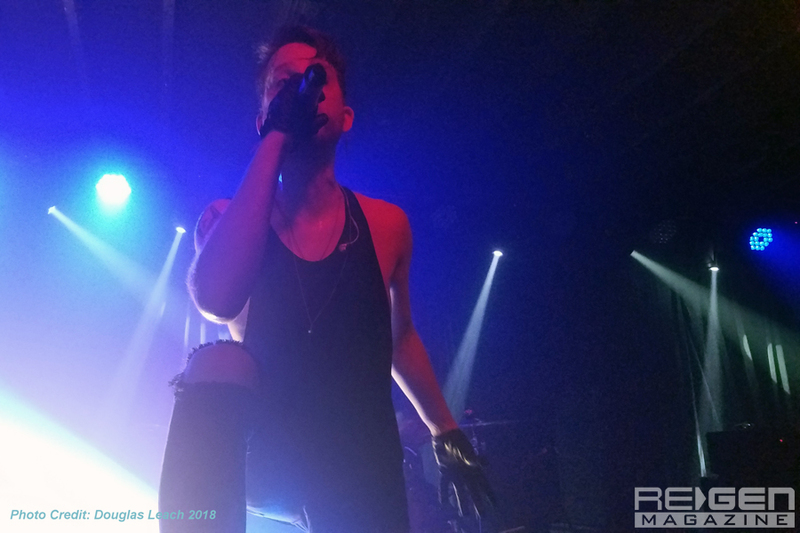 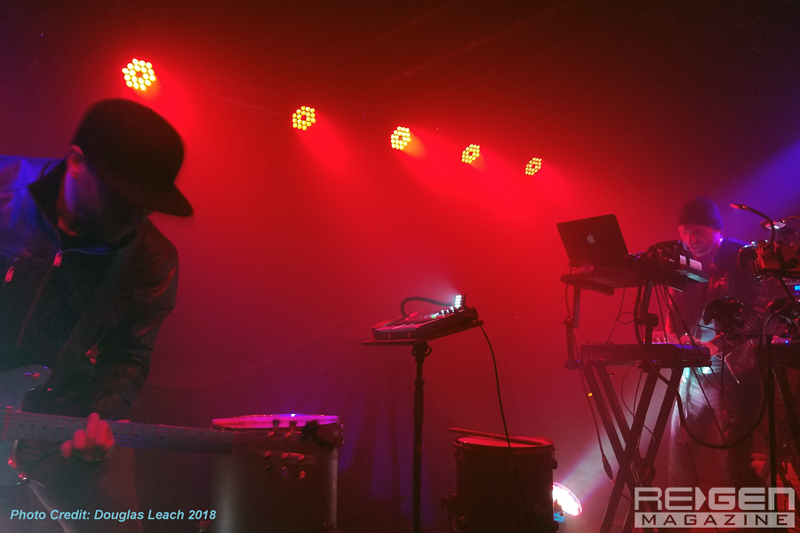 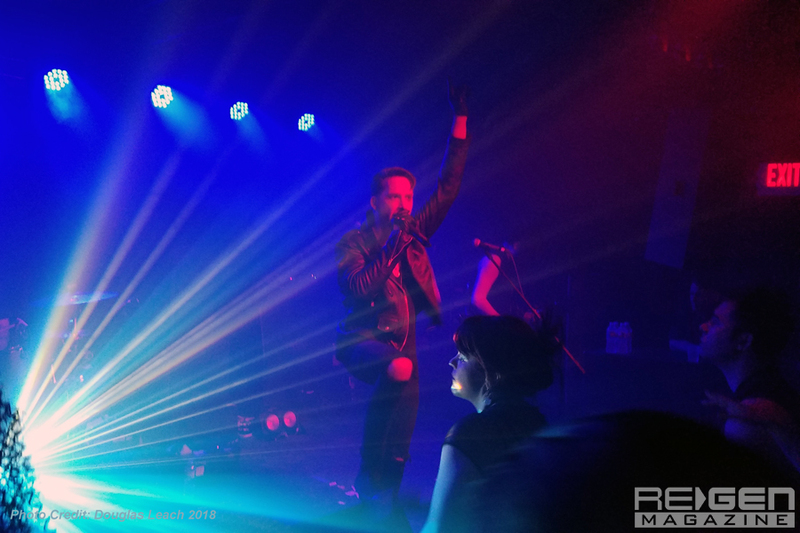 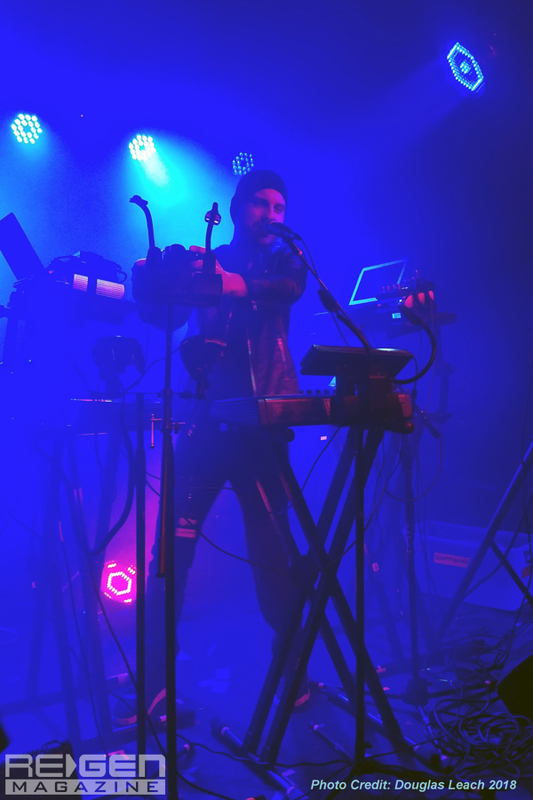 Having covered the band’s performance opening for Hexheart and The Rain Within last month, Evil Kunst sounded a bit different this time as you could hear the live glitch effects being performed onto Painless’ spoken word vocals. 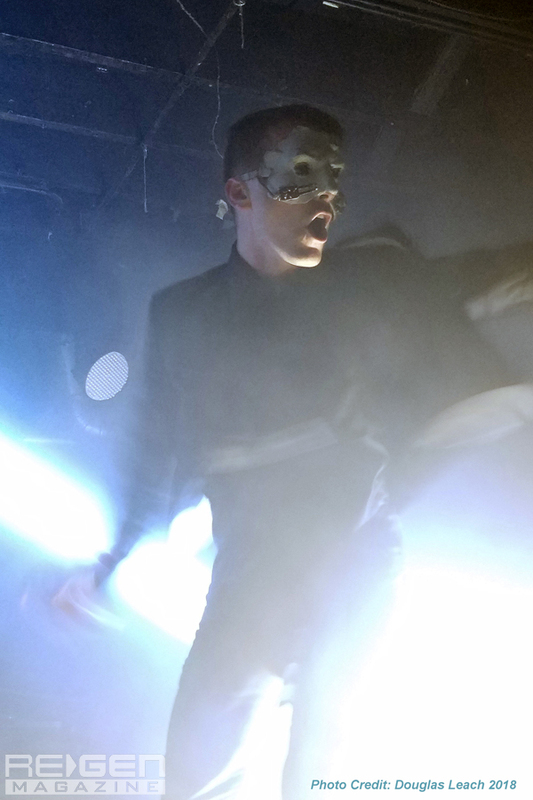 And instead of guttural growls, Irate Dreamer started performing operatic style vocalizations. 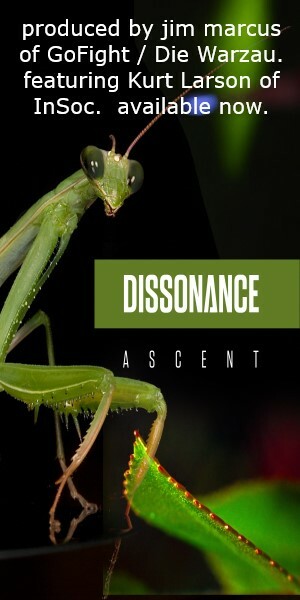 Even with the changes, the overall effect was the same, though the divergent vocal approach added to the musical texture, if only just a bit. 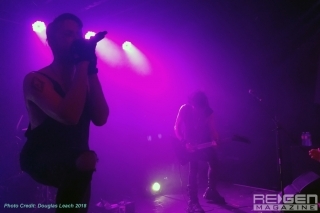 Unfortunately, since Evil Kunst was not on the actual stage the band’s set was pretty dark, leaving very little for the eyes to see. 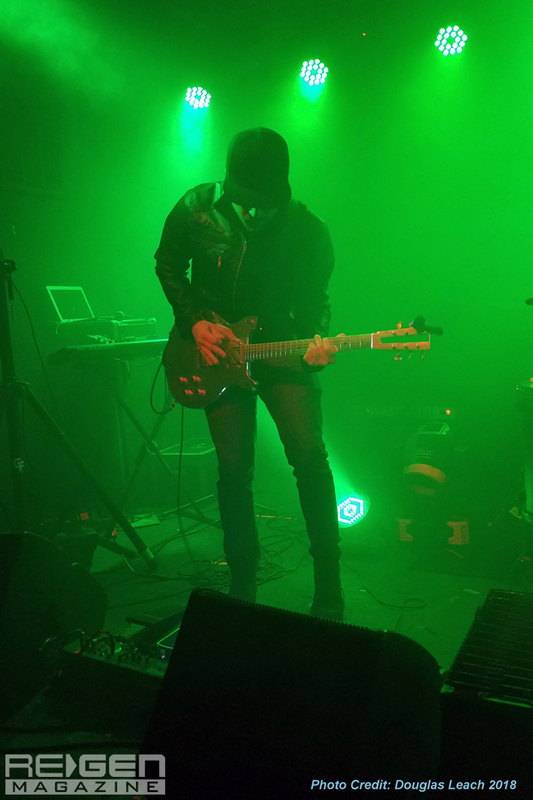 Very shortly after, Peter Turns Pirate – the one man show of Neal Reed – took the stage. 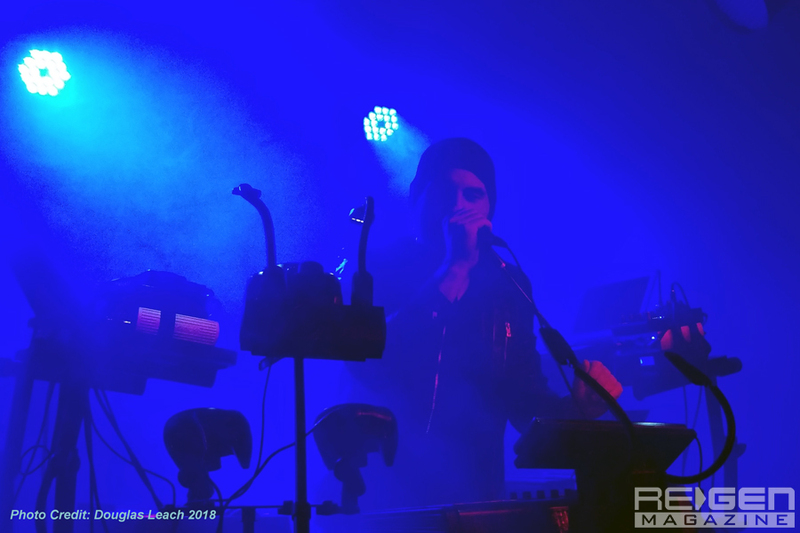 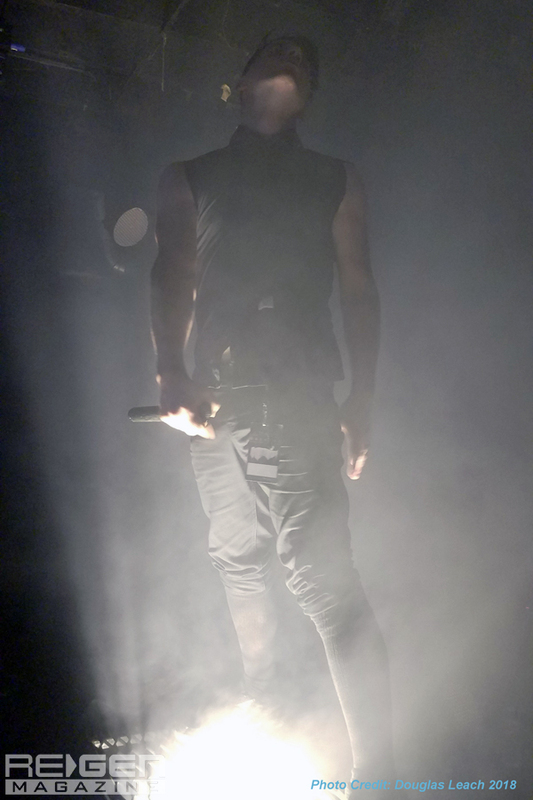 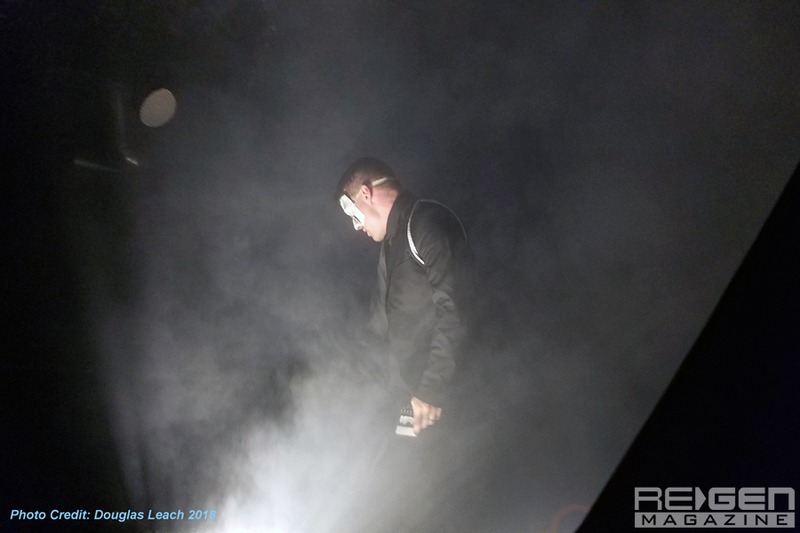 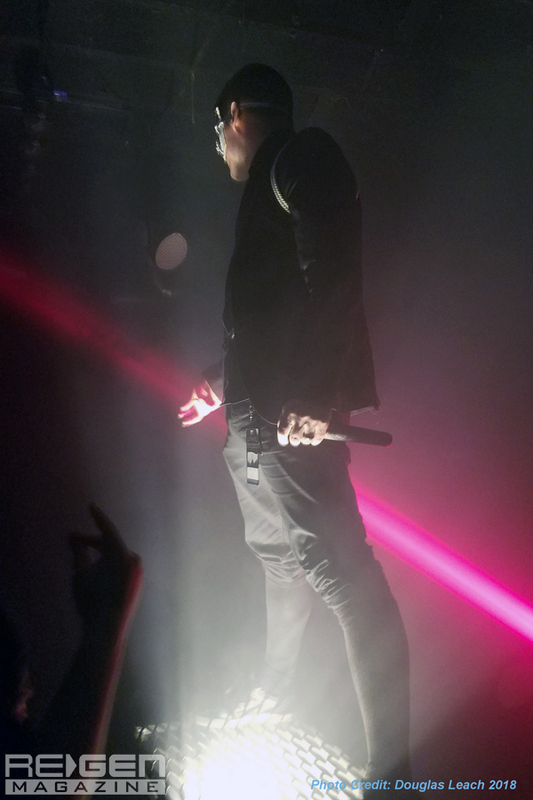 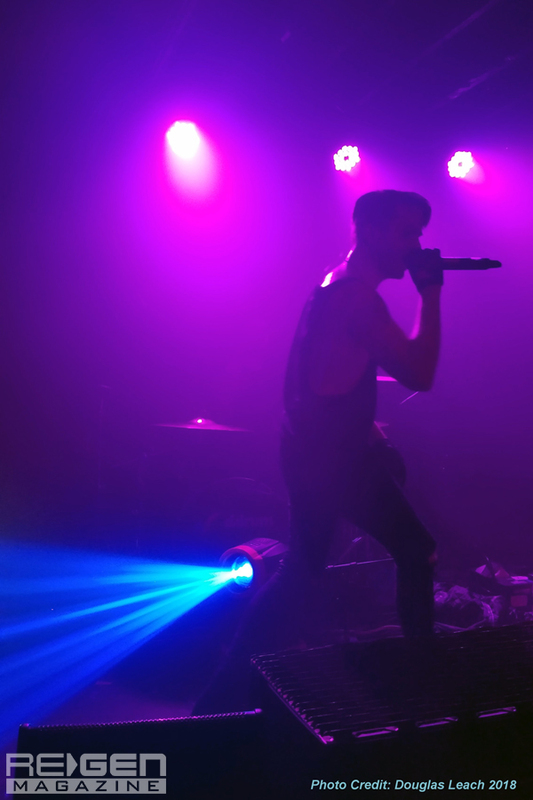 Full of rapid fire beats and glitched out synths, all of the music apart from Reed’s vocals are pre-recorded, the show consisting of him singing, a box with some lights, and a fog machine. 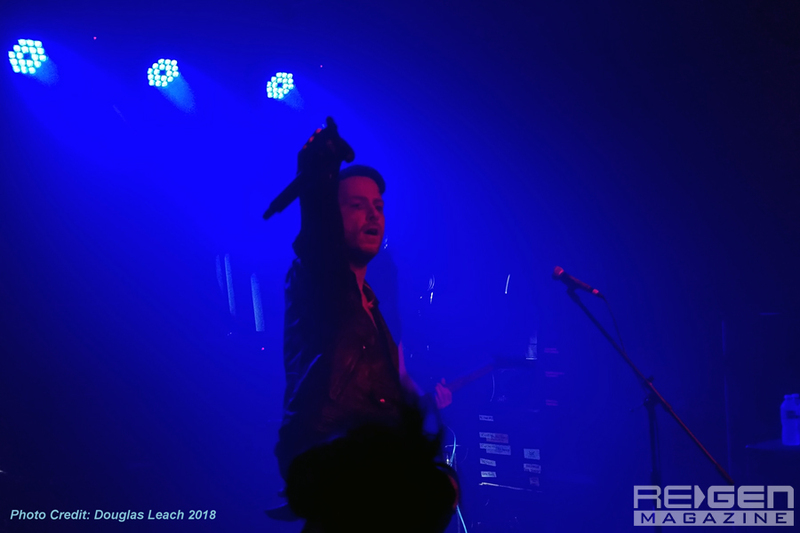 Reed makes it all work with his intense performance as he constantly engages the audience through eye contact, dancing and posing along with the music. 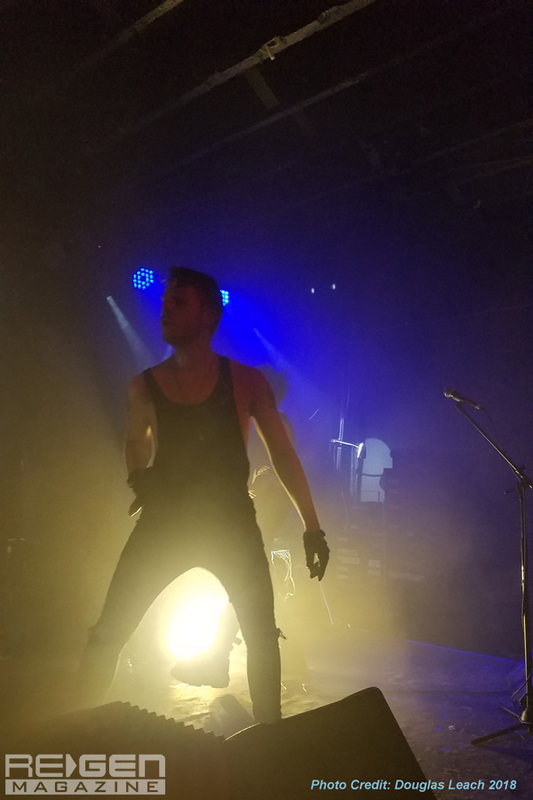 Since he is the only one onstage, it doesn’t take much in the way of stage lighting to make it feel dramatic. 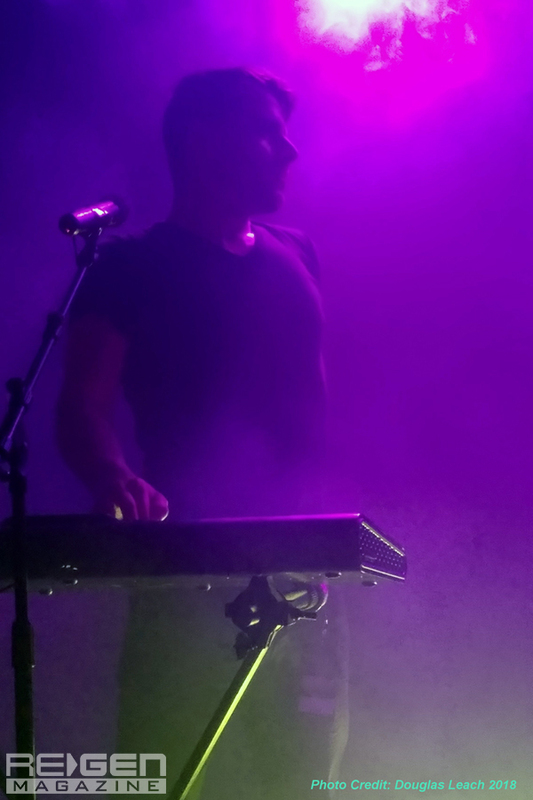 His vocal delivery reminds this writer of Blue Stahli songs like “Scrape” and “Give Me Everything You’ve Got.” His set may have felt rather short, but this writer doesn’t feel that this type of performance would benefit from a longer runtime – it definitely feels more like a sprint than a marathon. 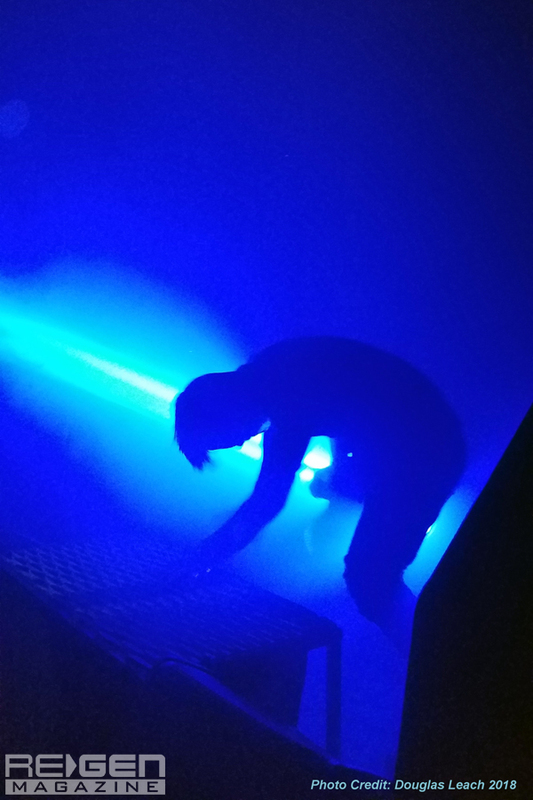 Ghostfeeder was on the stage and ready to play just minutes after Reed’s set ended, which caught a lot a people by surprise – many had gone outside for a smoke break, but they trickled back in as the set started. 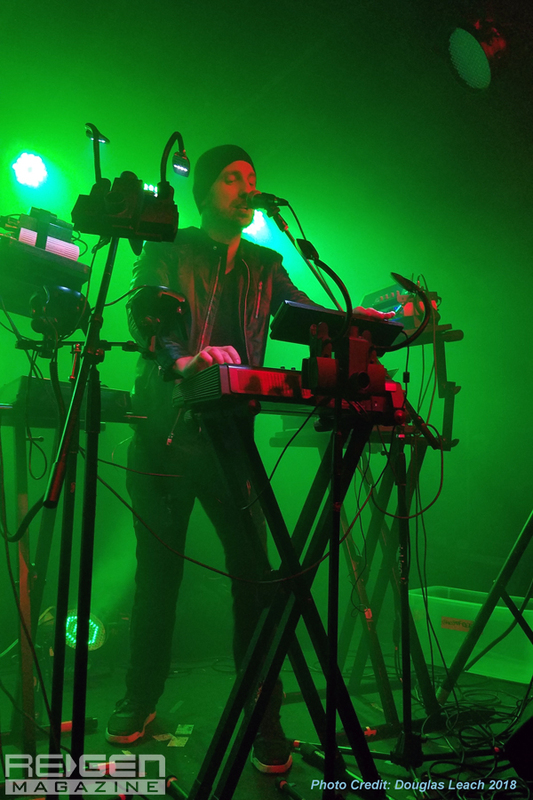 Ghostfeeder’s music is filled with synths and light guitar work, making it easier to lump the band in with other retro synthwave bands. 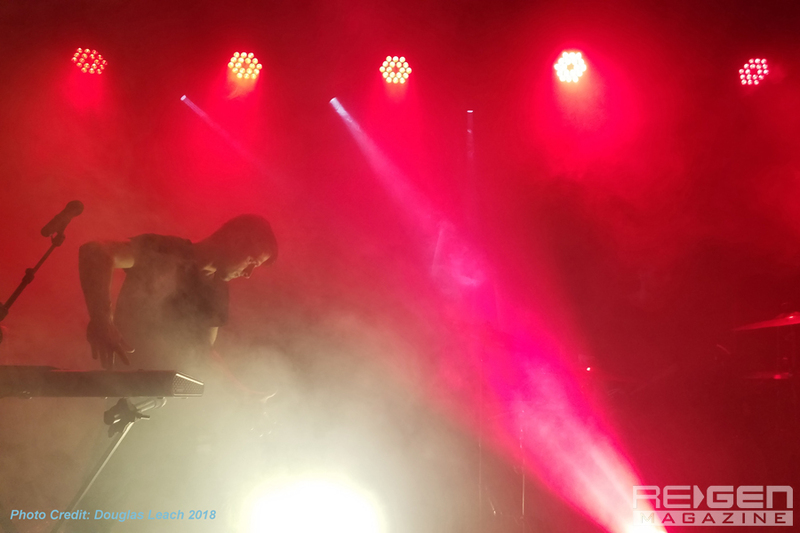 But Ghostfeeder doesn’t go for a retro sound, adopting a modern style closer to the likes of IAMX or InnerPartySystem, utilizing retro synth sounds with modern production techniques. 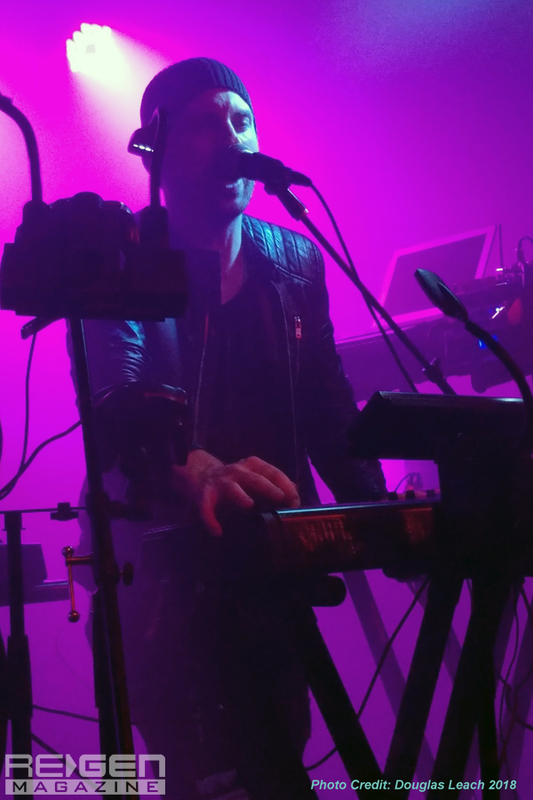 Derek Walborn surrounds himself with multiple keyboards and controllers, keeping everything going as he sings along with guitar and additional keys from Mark Hamer. 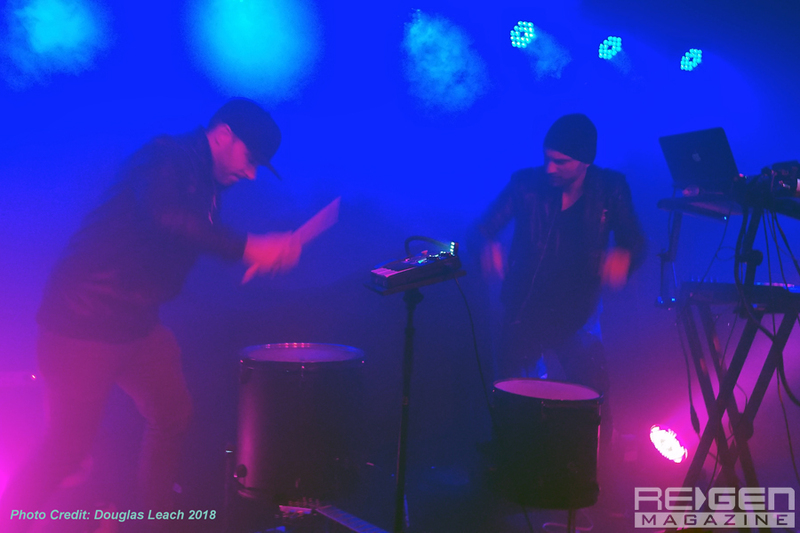 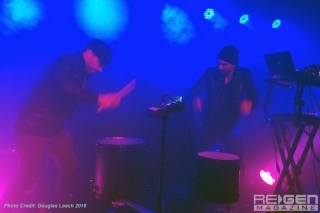 The two of them produce enough sound to fill a much bigger venue and they have put a lot of polish into their show, keeping the audience engaged just through the performance. 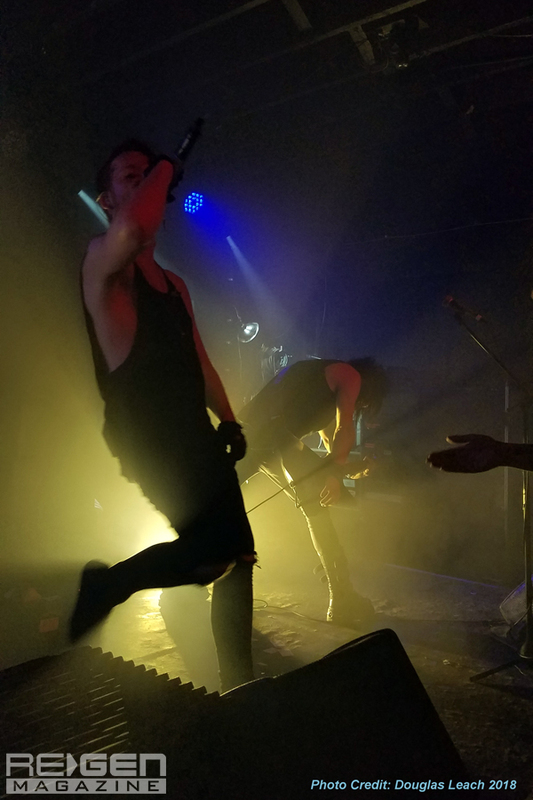 After going through three other bands in a short period of time, Grendel took the stage. 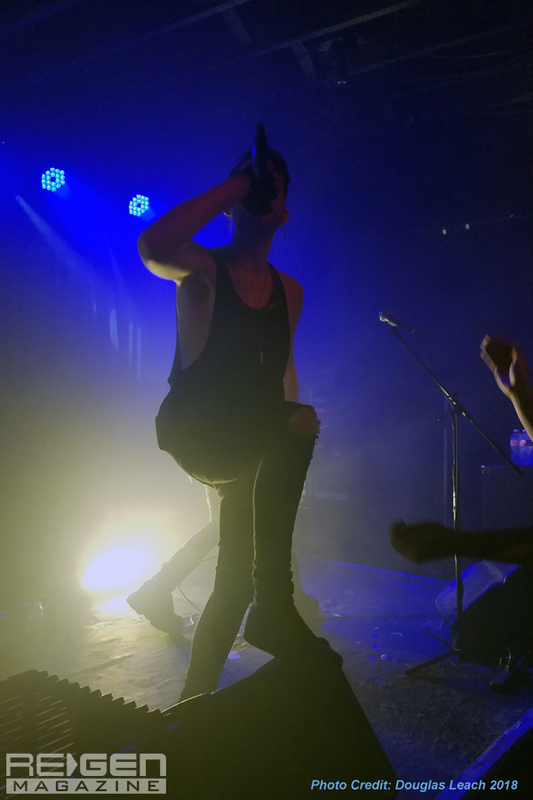 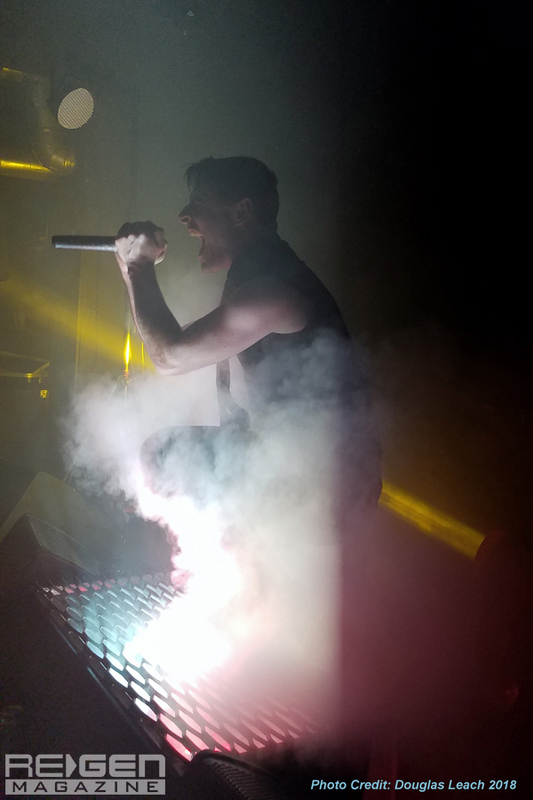 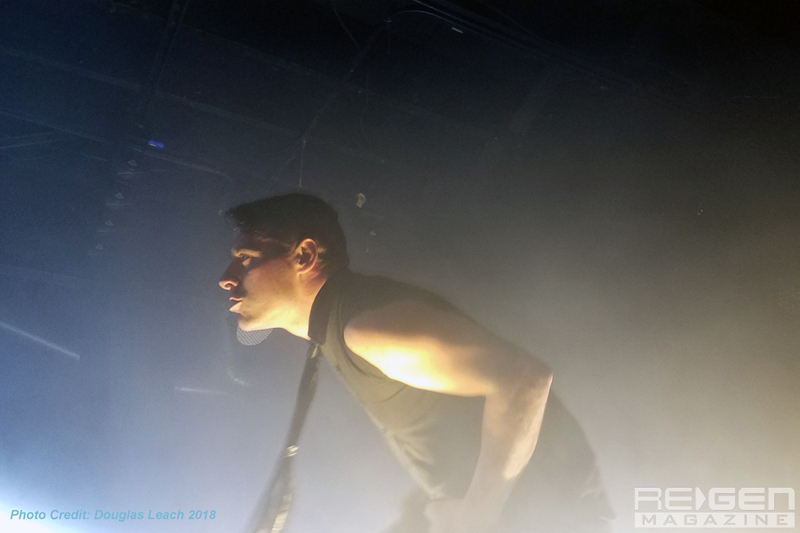 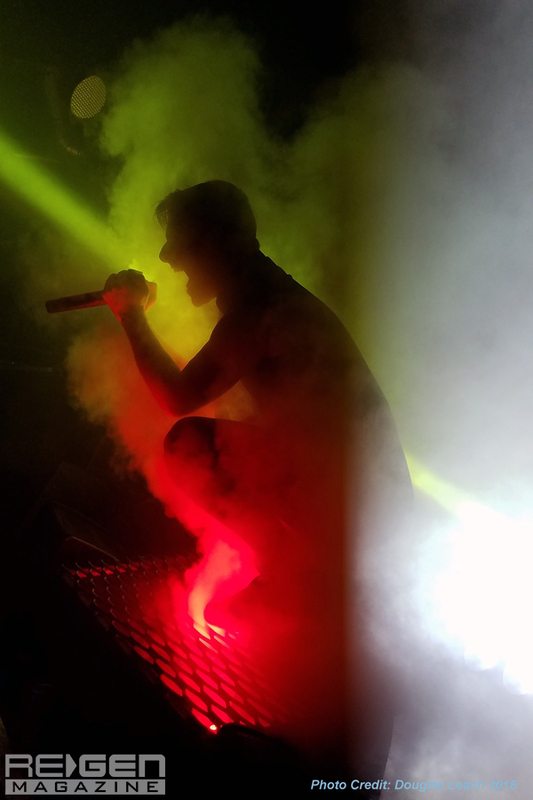 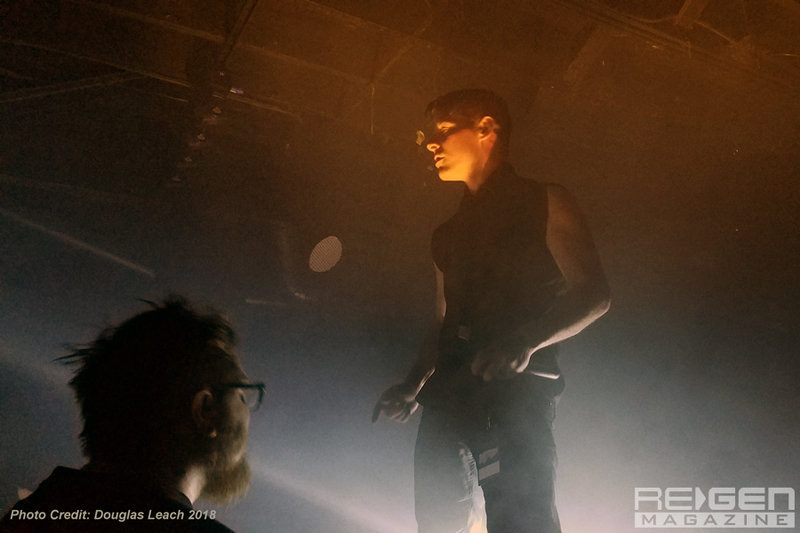 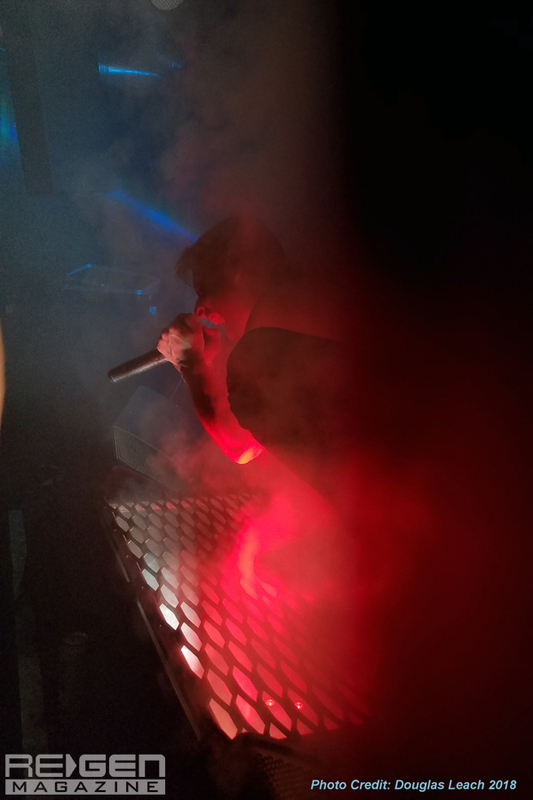 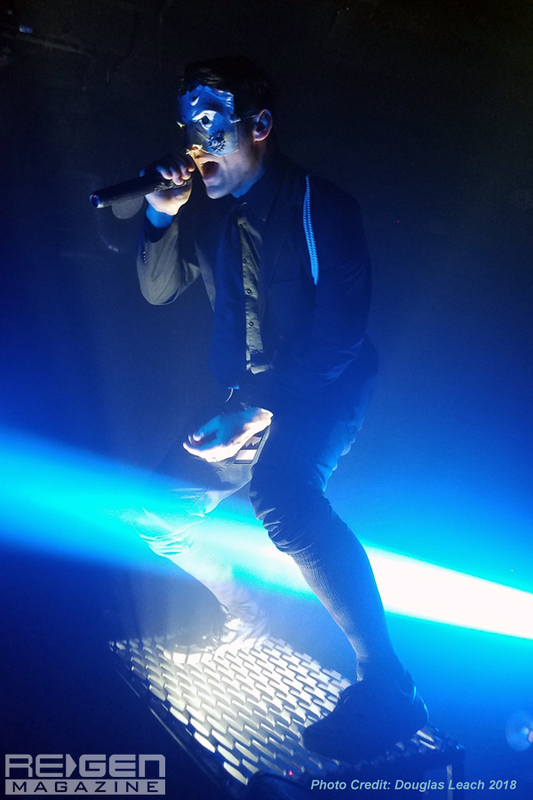 Since this was this writer’s first time seeing the prominent EBM/industrial act, I was unaware of what the live show would look like. 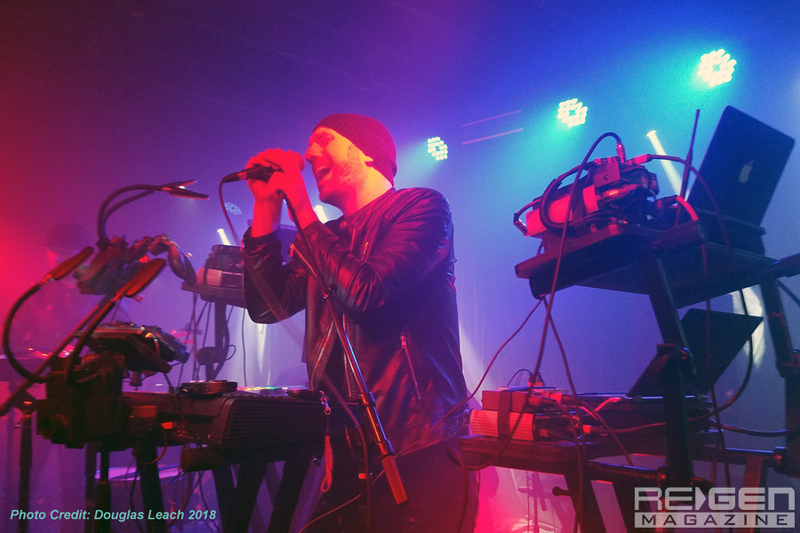 But I was pleasantly surprised that there was a full band onstage, consisting of JD Tucker on vocals, Neal Reed on synths, Erik Gustafson on guitar, and Ben Tourkantonis on drums. 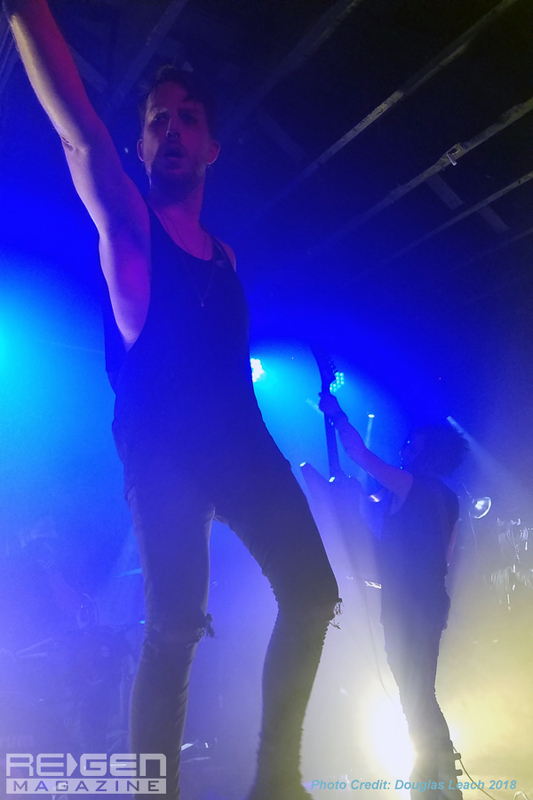 The band filled out the space nicely and felt much more like a fully sized rock band without necessarily sounding like one, and with all of the other instruments being taken care of, Tucker was allowed to run around the stage being a front man. 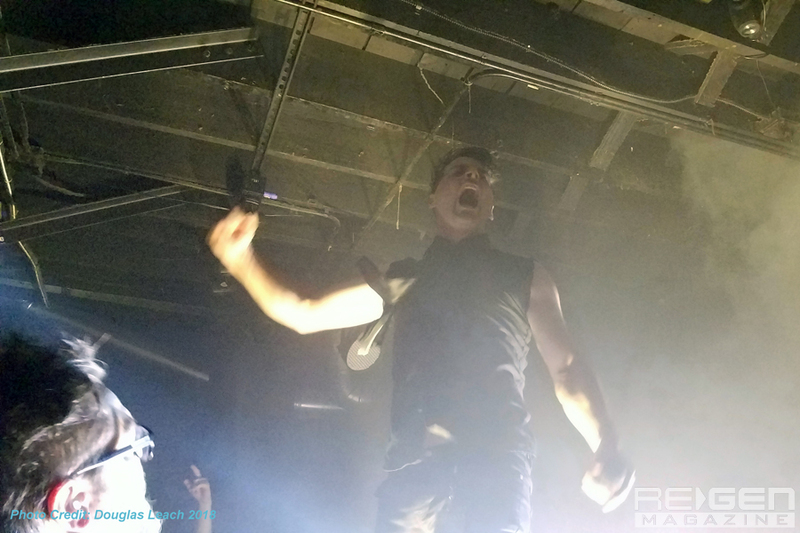 Grendel immediately tore into new material from the album Age of the Disposable Body, and it can be surmised that Tucker is so confident in the new material that the first six songs were off of that album. 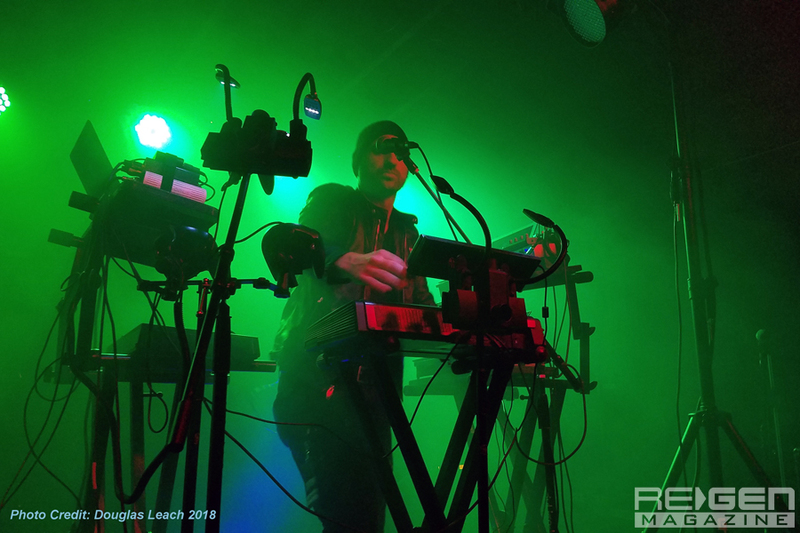 The band did come around to playing older favorites like “Chemicals + Circuitry” and “Timewave Zero,” the crowd singing along to all of the choruses and chanting along with R. Lee. 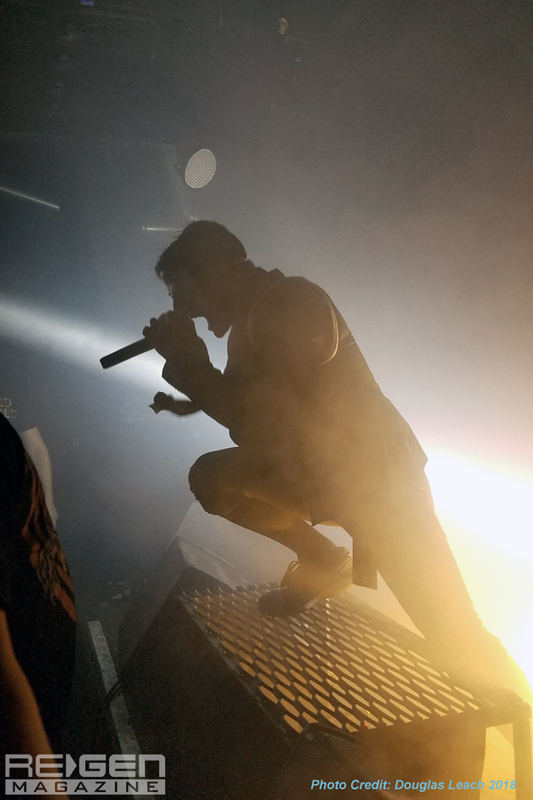 Ermey’s lines from Full Metal Jacket in “Soilbleed.” Grendel kept the crowd singing and dancing along the entire set and ended up being better than this writer was anticipating. 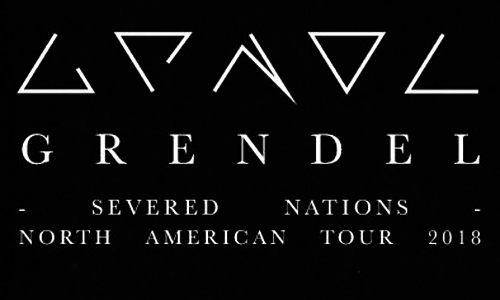 Put simply, the lineup for this entry on the Severed Nations Tour was solid, each band holding up their end and playing their parts to make for an enjoyable night.